Congratulations to the Meyers Math Team! 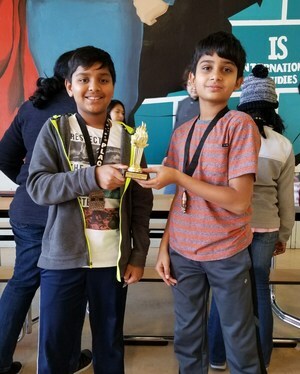 Once again our Math Club team performed at the top of their age group! For one of the final regional math tournaments of the year our students participated in the Mira Loma High School Math Contest. Having our students participate in this event is so exciting for our school community. We would like to congratulate all participants and thank our parent community for supporting these students achieve excellence and continued growth! We would also like to share with you the final results from the day’s events.